Womanure. Womandoline. Womanipulate. Womanicure. Womanicotti. Don't mind me. Just trying to be politically correct here. I can't think of an occasion on which I ate fresh mango before having it in this salsa. Dried? Yes, many times. Frozen? Of course. Pureed? Absolutely. Fresh? No, ma'am (or sir, as the case may be). I was positively thrilled by its intense burst of juicy flavor--'twas the perfect complement to the crisp cucumbers, spicy jalapenos, and powerful red onions accompanying it here. The presence of my favorite herb made the stuff even more refreshing. I had it as a side to some cheesy black bean quesadillas, but it would match so many things, from seafood (none for me, thanks) to grilled pork chops. I don't mean to sound like a womaniac, but it's crazy good. 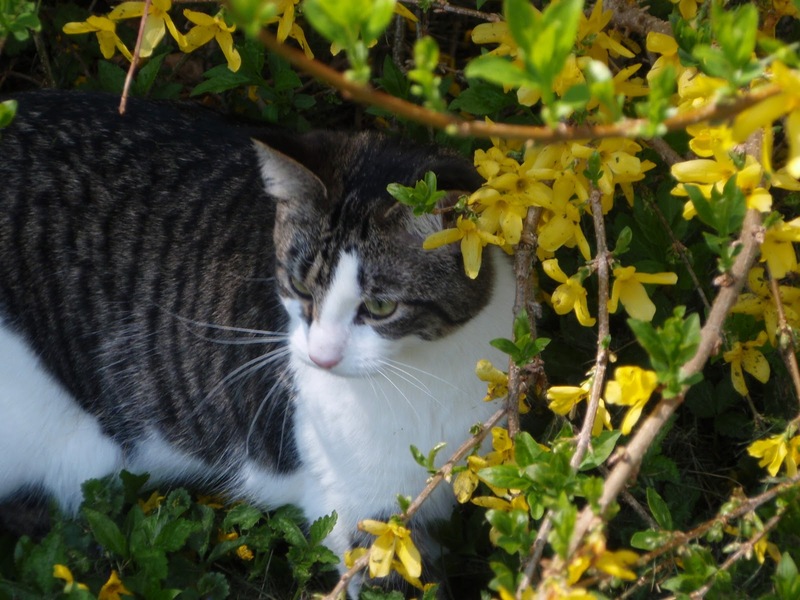 Open your womandibles, put in a forkful, and womanducate! 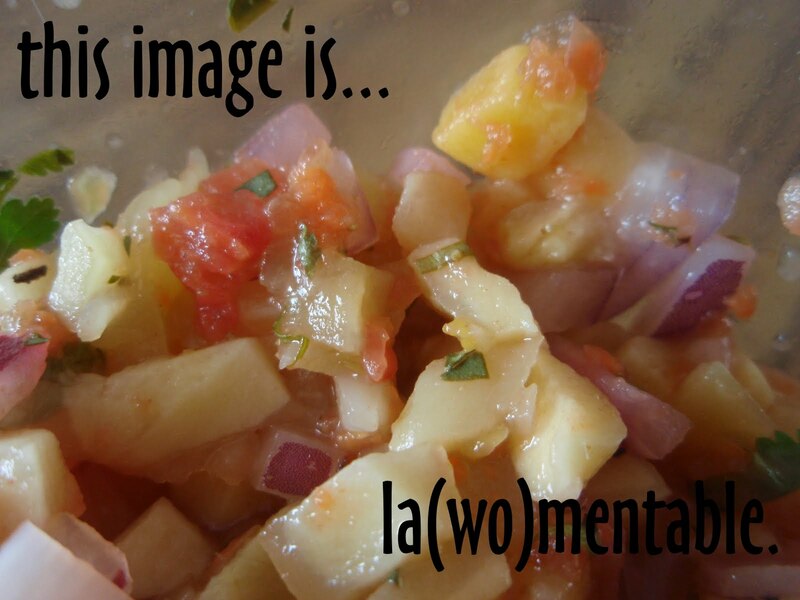 Combine the mango, cucumber, jalapeno, red onion, tomatoes, lime juice, and cilantro leaves and mix well. Season with salt and pepper. Chill for a few hours to let the flavors mingle. *Is there anyone who actually enjoys getting caught in the rain? I don't know if you've heard, but Valentine's Day** is coming up. Pink, hearts, and chocolate are EVERYWHERE. I think I've proven what a rebel I can be, so in that vein, I eschewed all three of the aforementioned Valentine's Day staples and made a treat with none of them in sight. This is a refreshing little dessert for anyone feeling the least bit of winter blues. It's a light and fluffy coconut cake that's been torted, and between the moist, rum-soaked layers lies a zippy and tart lime curd. Go ahead and say it: Ooh-la-la! The frosting marks my first experience with Swiss meringue buttercream, and I can state with certainty that it won't be my last--that's some incredible stuff! It's slick and creamy like a velvet suit and with just the right amount of sweetness, nicely off-set by the crunchy toasted coconut. All in all, this is one heck of a Hallmark-free celebration combination. In a heavy saucepan, whisk together the egg yolks, sugar, lime juice, cream, and butter and cook over moderately low heat, whisking constantly, 5 to 7 minutes, or until mixture just reaches a boil. Strain the curd into a bowl and stir in the zest. Cover the surface of the curd with plastic wrap and chill at least 4 hours and up to 2 days. In a heavy saucepan, bring the water and sugar to a boil. Stir only until the sugar is dissolved. Simmer over low heat for 5 minutes and then remove from heat. Cool slightly and stir in the rum. Preheat oven to 350°F. Butter and flour two 9-inch cake pans. Whisk flour, baking powder, baking soda, and salt in medium bowl to blend. 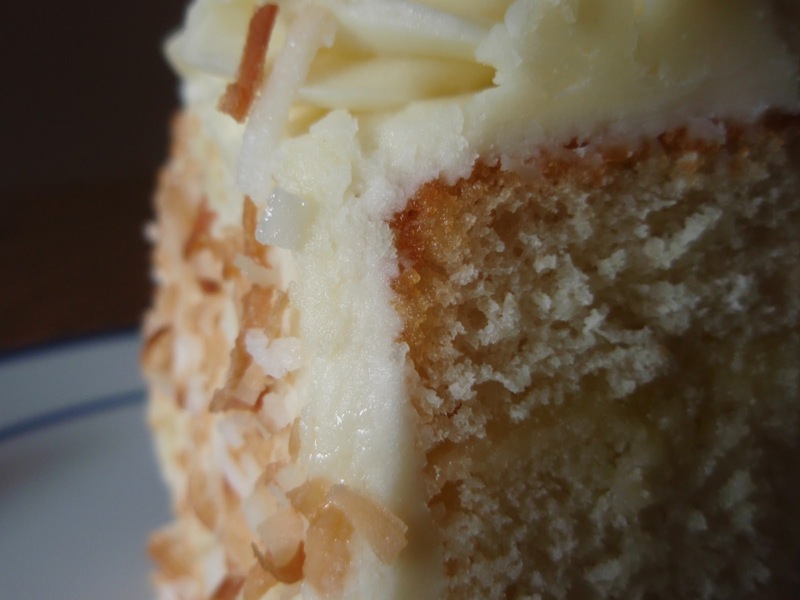 Using an electric mixer, beat the sugar, butter, and cream of coconut in a large bowl until fluffy. Beat in the egg yolks and vanilla extract. On low speed, beat in the dry ingredients and then the buttermilk, each just until blended. Using clean dry beaters, beat the egg whites with pinch of salt in another large bowl until stiff but not dry. Fold the beaten egg whites into batter. Divide the cake batter between the prepared pans. Bake the cakes until a tester inserted into the center comes out clean, about 45 minutes. Cool the cakes in the pans on a rack for 10 minutes, then turn them out onto racks to cool completely. Cut both layers in half. 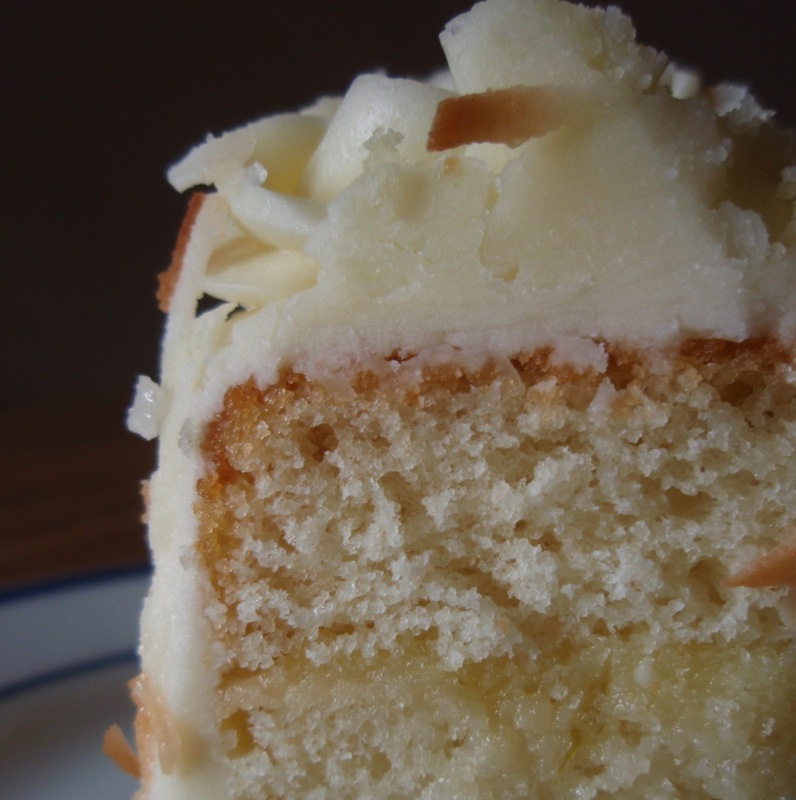 Put one half of a cake layer on a cake plate, brush generously with the rum syrup, spread evenly with lime curd, and sprinkle with sweetened flaked coconut. Repeat steps with remaining cake layers and chill cake 15 minutes. In a medium bowl, whisk the egg whites and sugar together. Set the bowl over a pan of simmering water but do not let the water touch the bottom of the bowl. Heat the mixture until the sugar is completely dissolved, stirring often. Stop when the color is a milky white, about 2 to 3 minutes. Transfer the egg mixture to the bowl of an electric mixture fitted with the whisk attachment and beat on medium-high speed. Beat until smooth and fluffy, about 5 minutes. Remove the whisk attachment and replace with the paddle attachment. Add the cubed butter and beat on medium-high speed until smooth and fluffy, about 5 minutes more. The buttercream will look as though it's breaking, but never fear--it'll come together. Add the salt and vanilla and beat for 5 seconds to combine. 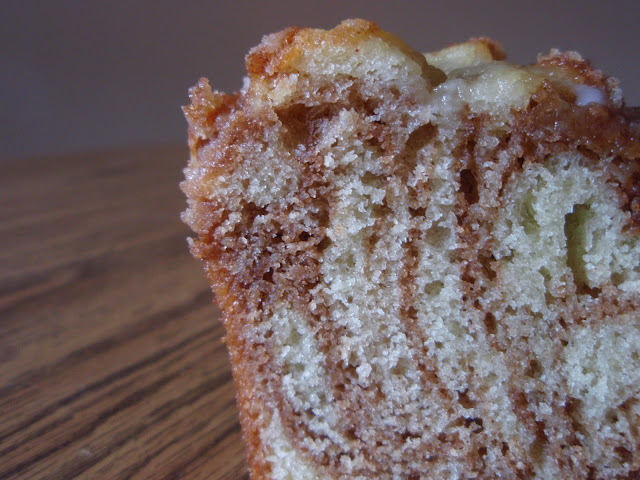 Spread frosting over the top and sides of the cake. Sprinkle the toasted coconut over the frosted cake, gently pressing into sides to adhere. I love breakfast. Some days, it's my sole reason for rolling out of bed. I love meals as quick and simple as cereal or shmiscuits and as time-consuming (compared to cereal, anyway) as omelets or muffins. I think my favorite breakfast of all, however, is a big ol' stack of pancakes. I enjoy many kinds of toppings and fillings--bananas, chocolate chips, blueberries, pecans, peanut butter, butter, maple syrup, and this taste of heaven have all received my official seal of approval. My latest pancake experiment involved trying to find a way to increase what I like to call the fluff factor. 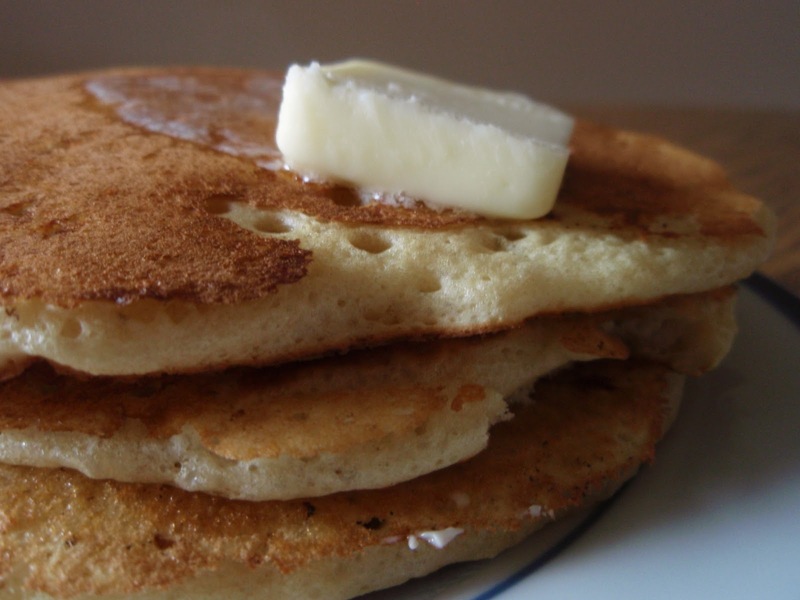 See, I like my pancakes fat like an overstuffed pillow--none of those puff-free discs are welcome on my griddle. I played with a variety of things, like the amount and type of leavening agent, sugar, and fat involved. The best I've been able to do so far makes use of an unexpected ingredient--coconut oil . At room temperature, this is a solid fat, which is a unique quality for an oil. It's also very heat stable and lasts a long time, even out of the fridge. (So ends your food science lesson for the day.) Please note that you could use any type of fat in lieu of coconut oil, but you won't get that tasty tinge of coconut. 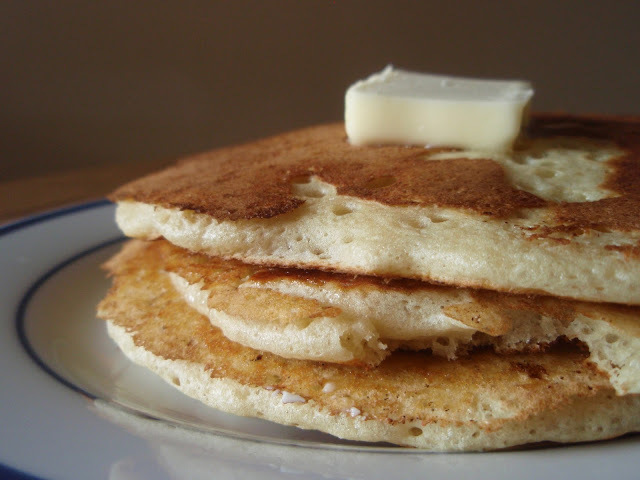 The pancakes yielded from this carefully-honed recipe are wonderfully fluffy and flavorful, with the barest, most perfect hint of coconut imaginable. They seem to absorb the ideal amount of syrup, too. I think, for now, my quest for pancake perfection has been satisfied. In a mixing bowl, whisk together the eggs, melted fat, milk, and vanilla until combined. Whisk in your sugar and salt, then whisk in the flour and baking powder. Add more milk if necessary to form a thick yet spreadable batter. Refrigerate for 10 to 20 minutes. Heat and lightly grease your pan or griddle with butter or oil. Pour the batter onto pan by the 1/4-cupful or, if you're like me, heaping 1/2-cupful. Flip the pancake when the edges start to dry up and bubbles form on the top. Cook for about another minute, or until nicely golden brown. Yeah, so sweet potato pie seems to be reserved for Thanksgiving, but since I'm a rebel of epic proportions (she says oh-so-sarcastically), I made it in January. For no reason. Boo-yah. 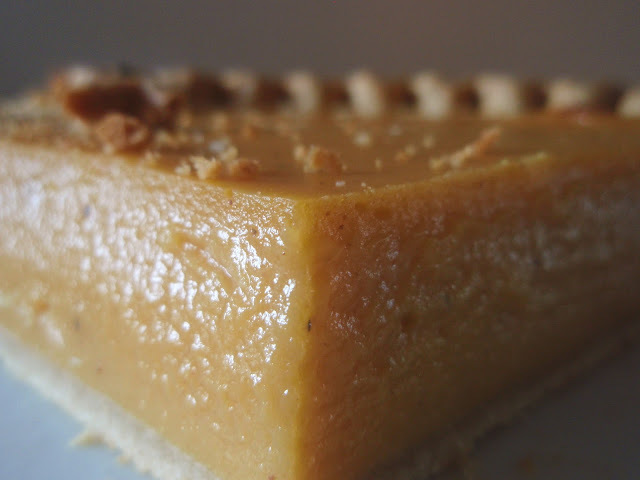 Let me get this out of the way first--the best thing about this pie is that it tastes nothing like sweet potatoes. Don't get me wrong, I love sweet potatoes and all they have to offer. I'll take sweet potatoes fries over regular ones any day, and a loaded baked sweet potato (marshmallows included) will hit the spot on just about any occasion. What I mean is that the spices take center stage, and since cinnamon is the predominant spice here, I'm a happy eater. The sweet potatoes do play an important role here, however--they're the vehicle, and a fine vehicle indeed. They are the Lamborghini of pie ingredients, lending an awesome, silky-smooth texture and the subtlest of earthy flavors. Feel free to use canned sweet potatoes and a frozen crust if you must, but don't you feel such pride and accomplishment when everything is made from scratch? I know I do. Steam the sweet potato chunks until tender and then place them into a blender or food processor with the milk, brown sugar, butter, spices, and salt; blend until smooth. Let the mixture cool a little before adding the eggs and vanilla and then blend again to combine. If you've made your own crust, bake it in the oven for 10-12 minutes until partially cooked. 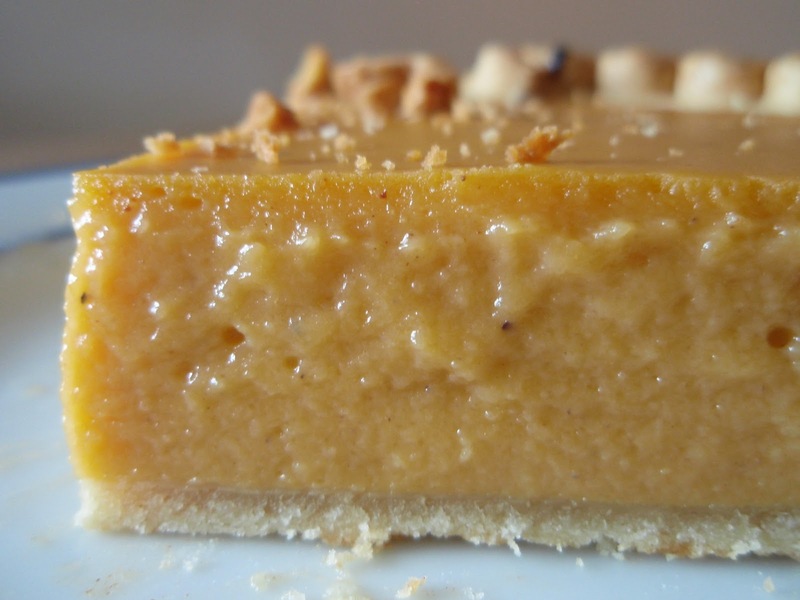 Pour the sweet potato mixture into the pie shell and bake for a further 35-40 minutes. Remove from oven and cool.